Music Video. 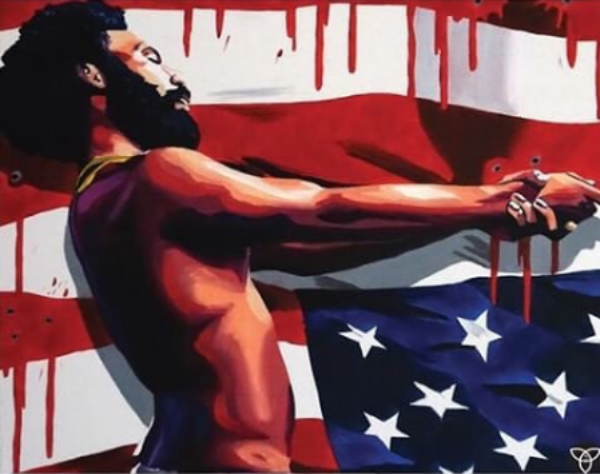 | "This Is America" | Childish Gambino. | | Quiet Lunch. Music Video. | “This Is America” | Childish Gambino. America, the hypocrite! 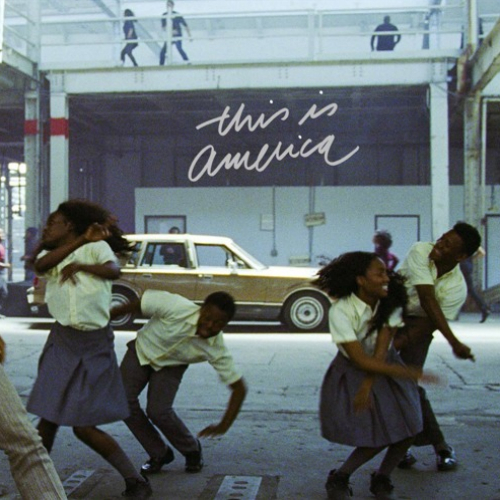 Sweet as apple pie, Childish Gambino’s latest offering — the Hiro Murai-directed visual “This Is America” — is delicious. Delectably distorted metaphors, both verbal and visible, represent the contrived Stepin Fetchin stereotypes that continue to plague these un-United States. Gambino demonstrates how pursued happiness is mocked by the Have’s asphyxiating ignorance and their misplaced fear. Melanated skin ignorantly associated with Sin continues to galvanize this lynch mob mentality. “Get your money, Black man,” cooning for currency juxtaposed by maligned smiles help to ameliorate America’s black condition, right?